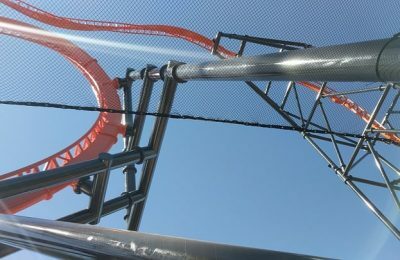 While summer continues to burn across Florida, construction continues at Busch Gardens Tampa. After yesterday’s big tease from Jim Dean, all eyes are now more fixed on whatever Project 2011 is. 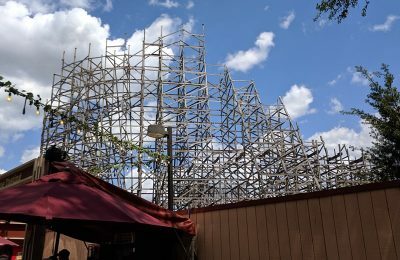 While everyone is watching that construction, small bits of construction are happening all over the park, including some signs that Howl O Scream is coming, a welcome sight to all haunt freaks. 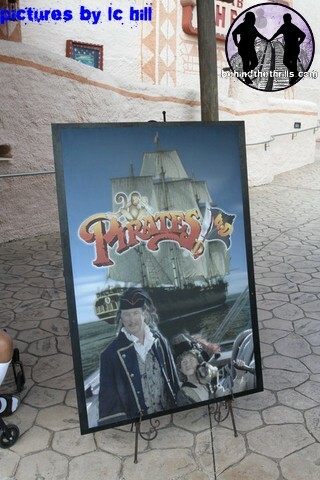 First thing that caught the eye was this poster for…Pirates 4D? Isn’t that gone? Our reader doesn’t give any indication on whether it was running, or if the sign was just out there. Maybe Sesame was down, or it was so busy they had to bring another film out to deal with crowds? Perhaps we can get some confirmation from anyone else in the park today? Project 2011 has completely changed the face of the park in the Nairobi area. A view from the Crown Colony balcony shows that the entire area by the old Clydesdale Hamlet is completely dirt (yay dirt piles!). The Skyride station is also undergoing some heavy construction. Actually it’s more appropriate to say the area that once housed the monorail is undergoing some heavy construction. No idea what’s going on with the actual Skyride portion of it. In other parts of the park, things are starting to come together for this year’s Howl O Scream. Over by Jambo Junction the first rumblings of “Death Row Vengeance” are starting to pull together. In the bird gardens, something is lurking right at the exit to Kungaloom. Because the area is roped off, we can’t get a good look at it, but something is lurking…waiting. The anticipation alone is enough to get you excited. None of these pictures are official, and you can see the locations yourself in the park as they are all public areas. The only thing we officially know about the event so far this year is that Sylvie will be rockin out with MyX…the band…not…nevermind. 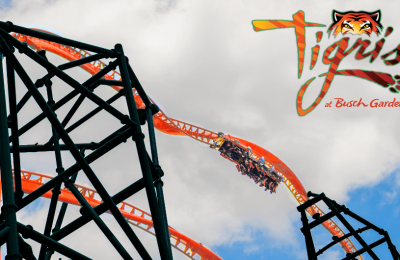 For more information on Busch Gardens, Project 2011 and HOS visit the official Busch Gardens Website. Previous PostHalloween Horror Nights creates "Immersive Environments" Next PostHorror Nights brings back the "Truth"